Response: Obesity and hypertension are highly prevalent diseases and when they are associated, cardiovascular risk is almost double over patients with obesity alone. 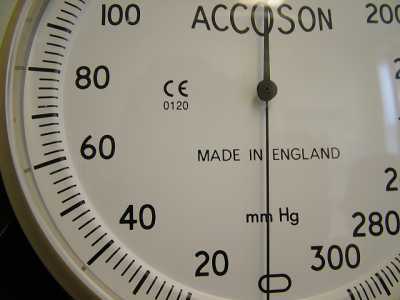 60-70% of hypertension in adults may be attributable to adiposity. To address both problems, we designed the GATEWAY TRIAL to evaluate the efficacy of Gastric Bypass in the reduction of antihypertensive medications in obese patients using at least 2 medications at maximum doses. After 1 year, results were very consistent. 83.7 % of the patients submitted to Gastric Bypass reduced at least 30% of the total number of medications maintaining a controlled blood pressure (<140/90 mm Hg) and 51% remitted from hypertension, defined by controlled blood pressure without medications. When we evaluated the reduction of the medication maintaining the Systolic blood pressure below 120 mmHg (SPRINT TARGET), 22.4% of the patients showed remission of hypertension. Response: Bariatric surgery is effective in the treatment of obese patients with hypertension, mainly those using more than two medications who show less adherence to treatment. Cardiologist and clinicians in general should think about referring this patients for an evaluation, mainly those with obesity grade 2 or over, using multiple drugs for hypertension and other comorbidities. Response: We will follow this patient for 5 years and see if the results are durable. Besides that we should study more resistant patients and see if surgery can help in these difficult patients. A research over mechanisms of how bariatric surgery improves blood pressure besides weight loss is also a very interesting field. Response: Bariatric surgery is a very safe procedure, with a mortality rate below 0.3%, similar to a Lap Cholecistectomy. We had no mortality in this group. Nutritional deficiencies can happen and patients should be strictetely followed-up to prevent and/or treat these problems. This entry was posted in Author Interviews, Heart Disease, Surgical Research, Weight Research and tagged bariatric surgery, heart disease, obesity AHA17 by Marie Benz MD FAAD. Bookmark the permalink.